What happened to Marine Addis? 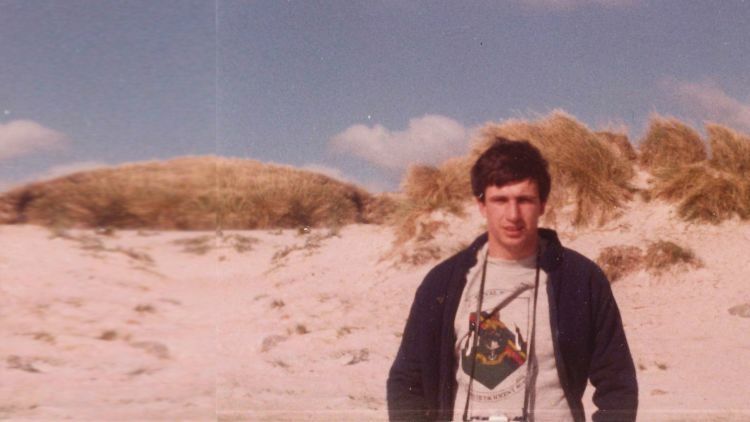 Mne Alan Addis was just 19 when he disappeared from the Falkland Islands in 1980. Several searches have been carried out since his disappearance and rumours of what happened have spread far and wide. It was a freezing mid-winter night, with snow freshly laid on the barren landscape, when Royal Marine Alan Addis arrived in North Arm. 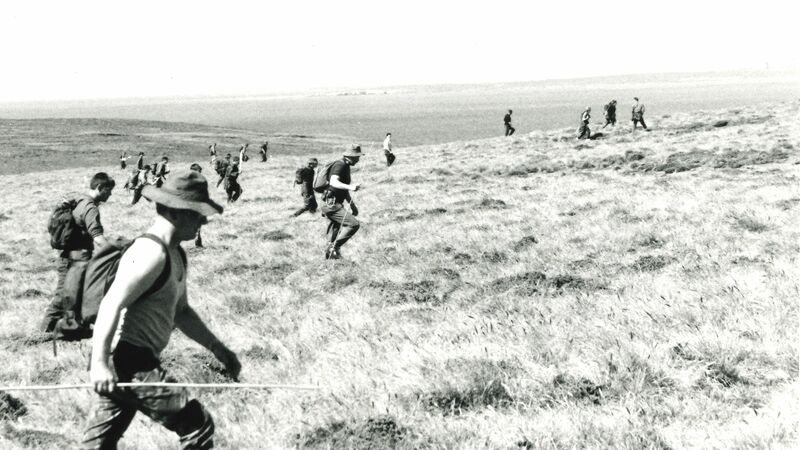 The Corps&apos; heroics in the Falklands War are well-documented - but they would not be known by Marine Addis, who went missing on 8 August 1980, never to be seen again. 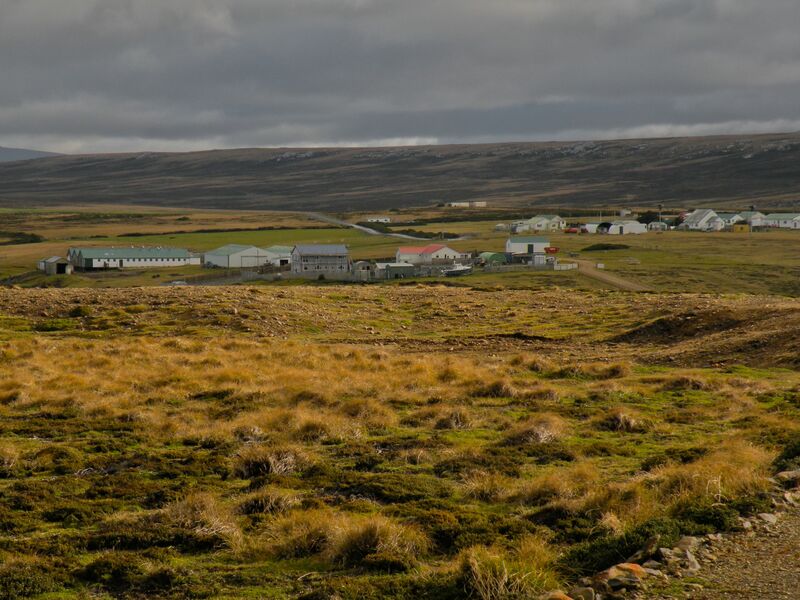 Two years later, the islands would become a war zone but at the turn of the decade Addis and fellow members of his unit were the only troops on the Falklands. Serving as a &apos;marine&apos; - a rank equivalent to an Army &apos;private&apos; - he was one of a group of six troops from a 50-strong detachment known as Naval Party 8901. Their job - to provide military and civil defence training for the local population and maintain a visible British military presence there. According to reports, the men were all integrated with the local population and many of them married local women. 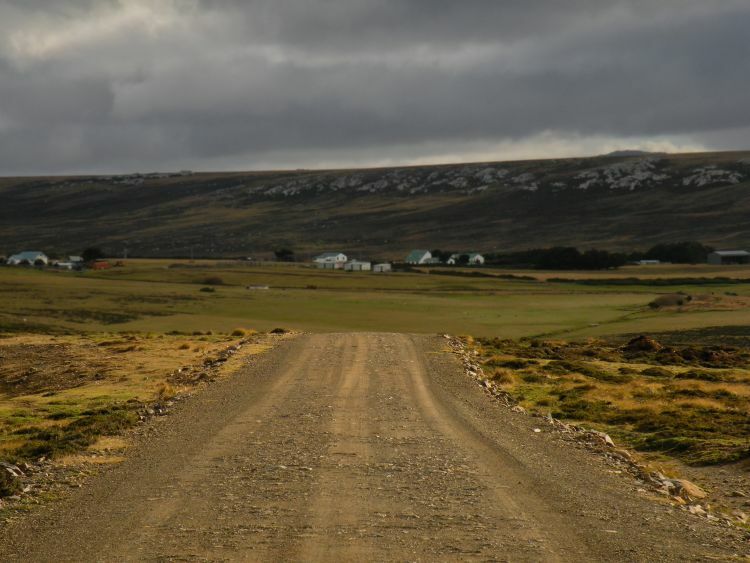 The Falkland Islands stretch for 4,700 square miles – roughly the size of Wales – in a jumble of rocks, reefs and peat bogs. 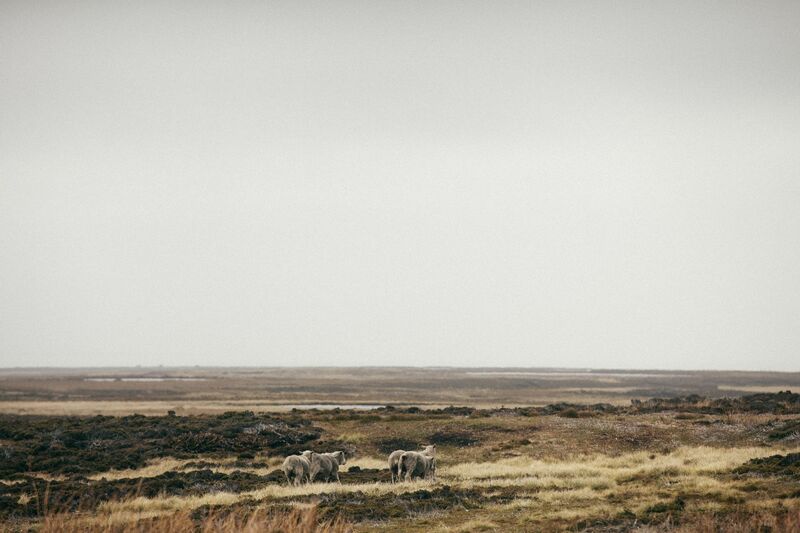 Almost 8,000 miles away from Great Britain, the archipelago is a memory of its colonial past. In 1980, there were 1,813 people living there. Excluding the military garrison and Stanley, the capital, the islanders lived in small settlements scattered around the vast territory. The number of deaths that year was the lowest since 1905. 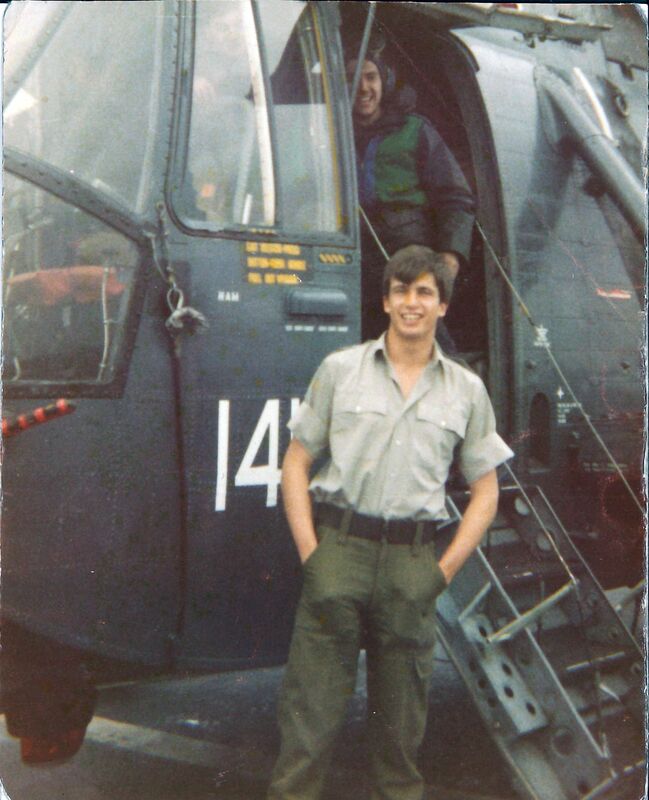 At the time of his disappearance, Mne Addis was only 19 and had been in the Falklands since March. 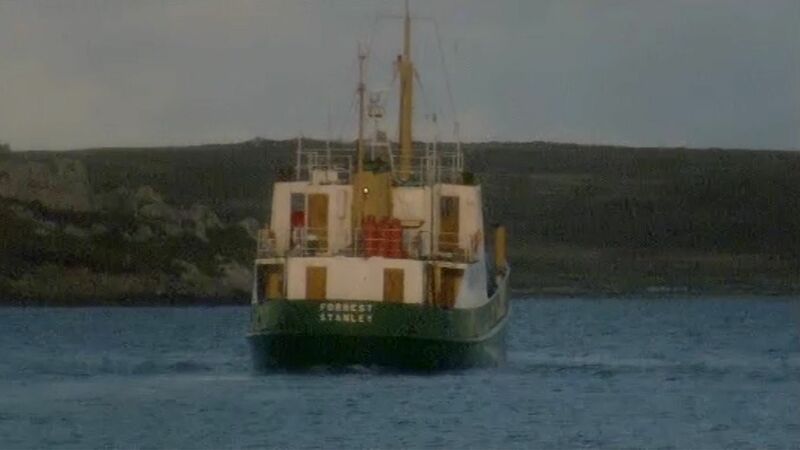 Quiet but well-educated, he sailed to the settlement on East Falkland from Stanley on board MV Forrest, a small coastal steamer, with two other marines. 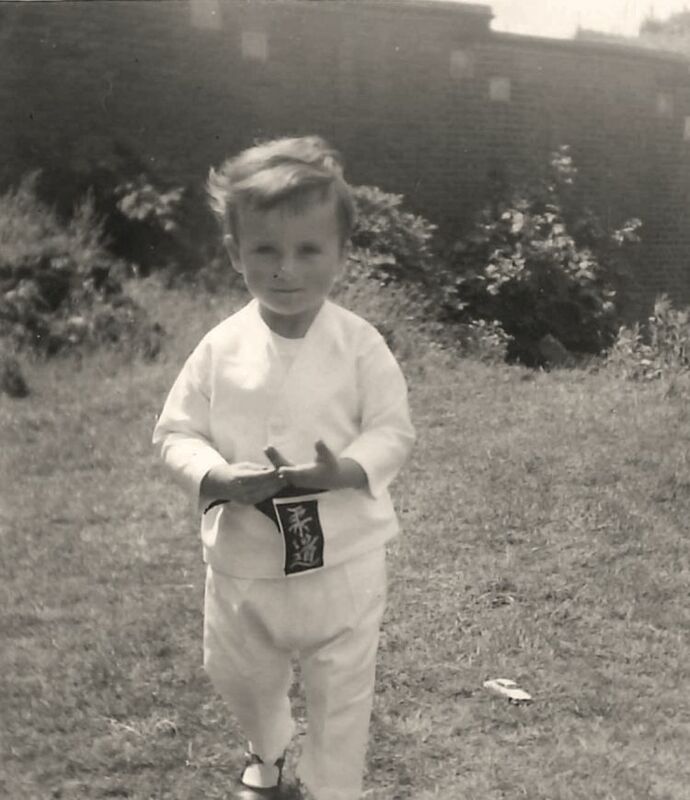 Alan Addis was born in Croydon, South London on 14 July 1961. "A new kid started and I was told to go and show him around, where to put his dinner money... And that was it, we were firm friends from that day," says Clarke. "We just sort of clicked." "We&apos;d done everything together... People used to think we were brothers when we were younger, [we] spent all our time together. “Climbing on trees, building boats. We had a great childhood. We learnt to drive at 13! "Alan was part of my family, and I was part of his." "He was a regular fella. There was nothing untoward. He probably had more of a sense of daring than most but that&apos;s the way we were when we were kids." 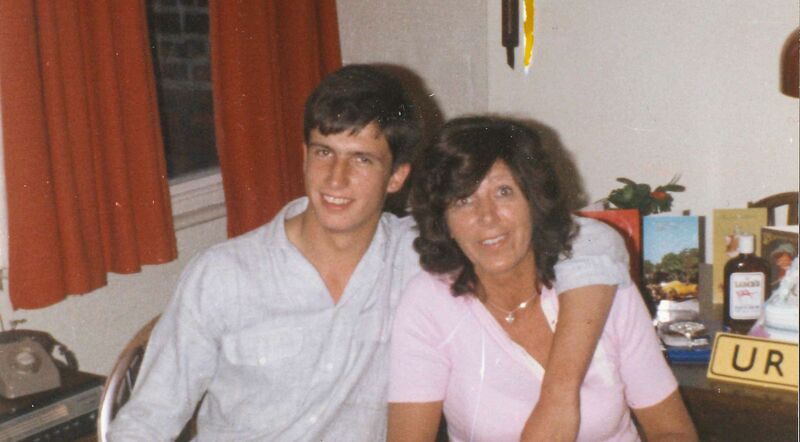 Alan and his mother, Ann, then moved to Hull when he was 14 to be near her family. 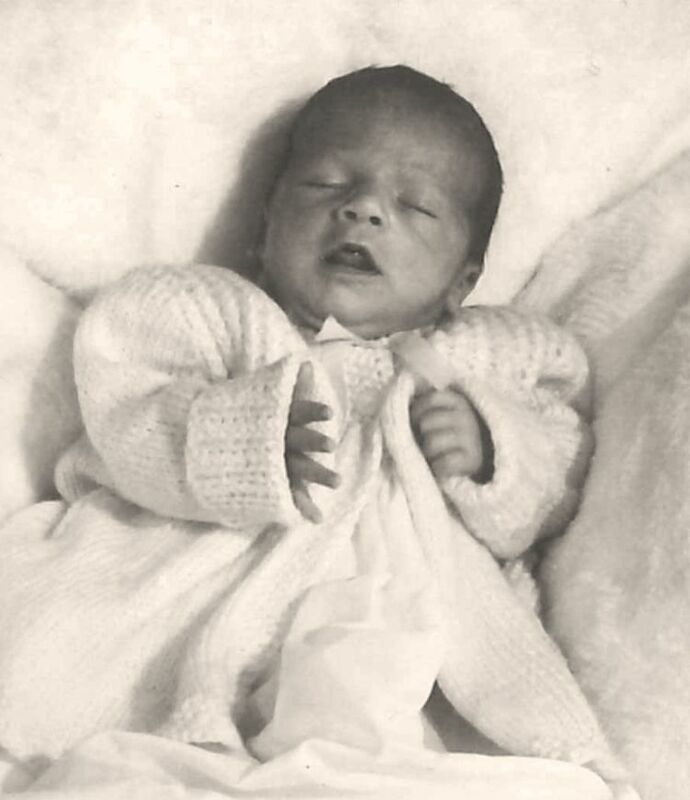 With his parents having separated when he was still at a young age, the bond between the two was incredibly strong. Clarke remembers: "Certainly Alan was the apple of Ann&apos;s eye. Her whole world revolved around Alan, because that was all she had." 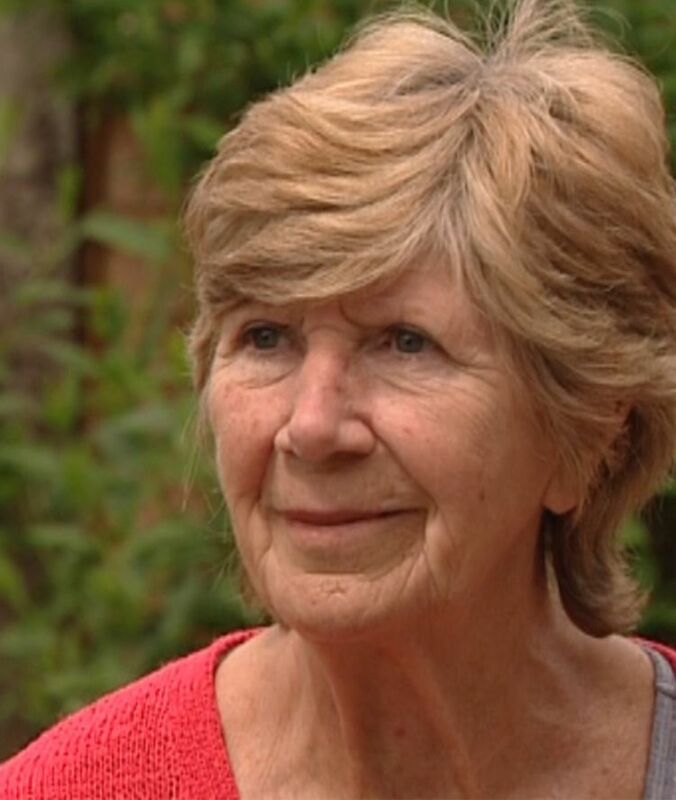 She even wrote a book about her son&apos;s disappearance called &apos;Missing On Patrol&apos;, in which she described him as "an extremely warm-hearted lad" who made his mark on all the people he met. At the age of 17, after his aspirations of joining a college of agriculture were dismissed, Addis decided to join the Royal Marines. As an only child, the decision was a tough one for his late mother, Ann. "She lived for him, really," explains Kathleen Andrew, one of her three sisters, "I think that’s why she didn’t want him to join the Marines." "I was going to miss him so much, but I put on a good face, all the time hoping and thinking he may change his mind." But according to Clarke, Alan wanted to "prove he was tough enough". He said: "[Alan] being sent to the Falklands was quite a shock for Ann, as this was the furthest he&apos;d been to." "We&apos;d never heard of the Falklands. It was just somewhere a long way away. It certainly wasn&apos;t Hull." Life 8,000 miles away from the UK could be difficult and left some of the troops with feelings of isolation. 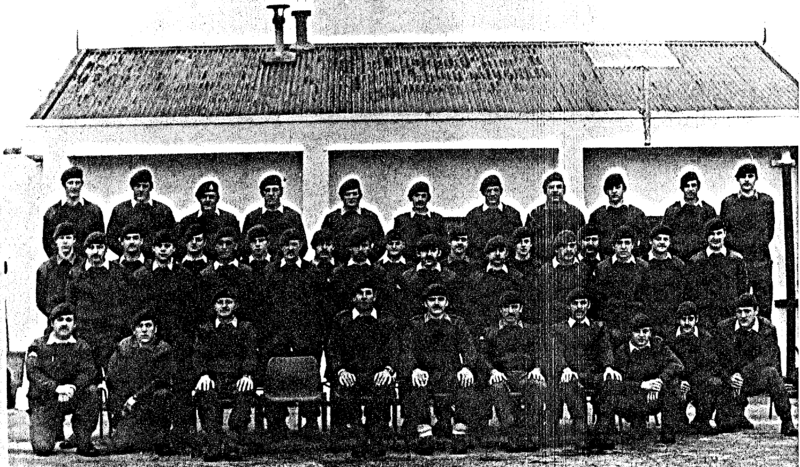 One man to step onto the islands at the same time as Mne Addis was his Section Corporal and fellow Naval Party 8901 member Jim Fairfield (shown near Addis in the unit photo above - back row, fifth from right). 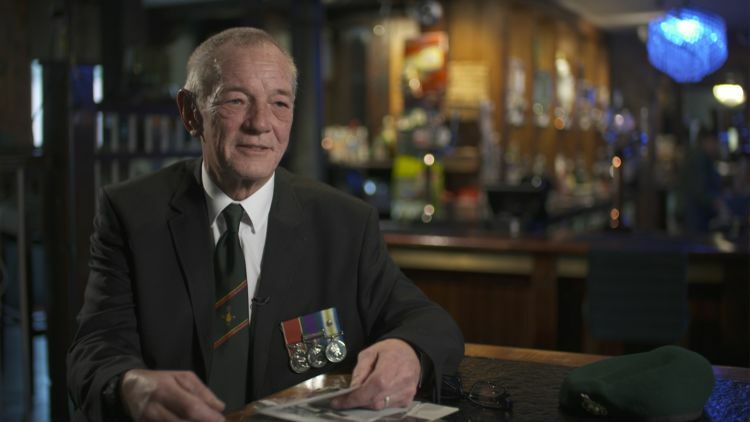 Jim, who has deployed to the Falklands several times and married a Falkland Islander, was awarded the British Empire Medal as a civilian for his actions during Argentina&apos;s invasion of Stanley in 1982. He&apos;s contributed to a book that tells a different story of the invasion to that recorded in the history books, and was also the man who approved Alan&apos;s trip to North Arm. He remembers: "You come through the narrows into the harbour and suddenly all these gaily-painted houses come into view... and [there was] absolute stillness, quietness. "No car horns, no sirens, it was just totally silent. That’s the first impression I got. "You’re sitting there and thinking &apos;This is it for 12 months&apos;. We have to make do with what we&apos;ve got. 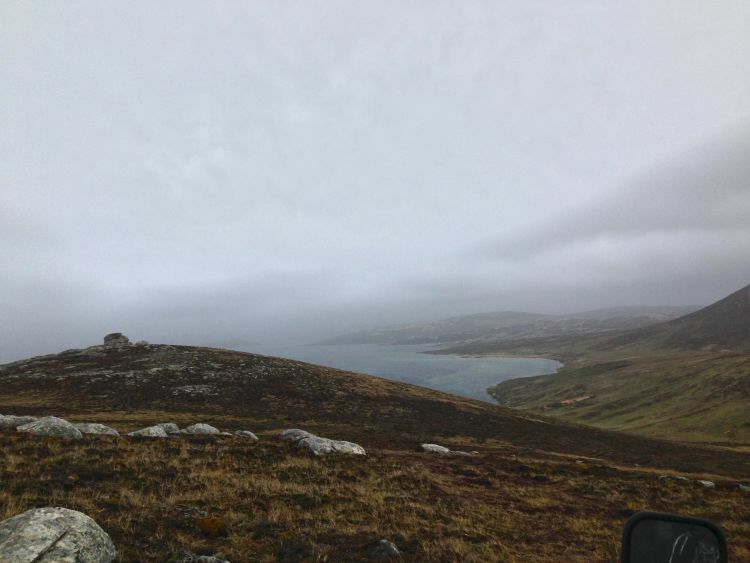 We have to rely on each other even more than we would normally.&apos;"
Personnel stationed in the Falklands soon found out that it was a very different proposition to being at home. There was no guarantee that basic foodstuffs like eggs would be in ready supply, while methods of communication taken for granted in Britain were much harder to come by. "Still haven’t had a drink or an egg. "Still haven’t watched telly, listened to Radio 1, been on a train, gone to a disco, gone to a Wimpy bar, or read a paper the day it was published." "Haven&apos;t had milk either. Haven&apos;t been in a taxi or a bus. I could carry this on all night, it&apos;s great." It was this isolation that meant any opportunities for trips around the islands were popular among marines looking for an excuse to get out of their usual routine at Moody Brook Barracks, near Stanley. "Only tomorrow to crack and I am off sailing to Fitzroy. It should be a laugh. Will write again in two weeks when I get back. Bye for now. Love, Alan." Sadly, that was the last contact she would ever have with her son. The mission - which would prove to be Alan Addis&apos; last - was to get to Fitzroy, another settlement on East Falkland, to train local defence volunteers. However, his three-man team first stopped at North Arm to collect three other marines who had been working there. They went to the settlement during the first week of August to carry out training and took with them weapons, ammunition and other equipment. All six planned to spend the night there before leaving the following morning. For transportation, they used the Forrest, a small trawler-type vessel that was regularly used to take stores out to various islands. "I didn&apos;t go on the trip, another section was going to do the trip. "Alan said to me... &apos;If I can get a replacement can I go?&apos; and I said &apos;Yes but you do need to get a replacement&apos; because there was a lot of work to be done. "I think he just wanted to get out. Most people do want to get out... for a Royal Marine it&apos;s second nature." So on 7 August 1980, in the middle of winter, Mne Addis was on his way to North Arm, with two marines from another section. "There&apos;s a lot of people who are very drunk in this..."
Upon arrival in North Arm, according to never-before-seen police documents, Alan was left on MV Forrest as he was feeling seasick. The other two marines with him departed to help pack up the weapons, but soon came back to have dinner with a recovered Addis and the ship&apos;s crew. They then began to ready themselves for a night out at the settlement&apos;s only entertainment offering - the social club. "When we go out to these places, each settlement has its own clubhouse. And invariably there is a night at least, if not several, where that clubhouse will be open. "All the people from the settlement come to meet you, play darts... and have a small libation." At 8pm that night, the three marines joined the locals and the rest of the team at the social club. According to witness statements, that evening Alan became involved in an argument with one of the local residents. "It seems that the argument concerned [another marine]... [The North Arm resident] appears to have been very impressed with [the other marine] during the training period, but Mne Addis regarded him as something of a &apos;poseur&apos; and appears to have disliked him." "Those who witnessed the argument described it as heated, but [the local resident] denies that it ever took place, and insists that his conversation with Mne Addis was concerned with sport and general topics." Just after 11pm, the two other marines with Addis left the club to return to the Forrest. They couldn&apos;t see Alan, but assumed that he might have been invited to someone&apos;s home. Police have tried to establish what happened later that night, but witness statements seen by Forces News show that people at the social club recalled events differently. No one could agree on when Alan was last seen. The Forrest ultimately left North Arm at 7am, half an hour later than planned, having not carried out a headcount. Soon after, one of the marines on board discovered that Mne Addis was missing. However, it was decided to carry on with the trip, as it was already late and the tides would have worked against them. It was also thought that Mne Addis would be able to find a way to reach Fitzroy by himself. Because of the radio system used on the boat, the crew was only able to make contact with North Arm at 3pm. It then became clear that no one knew where Alan was. A search party was organised. The Marines, working with the local landowners, started to scan the area, looking into empty houses and searching the water. "I thought he had just wandered out to the camp somewhere and got his head down. "It has happened before, people have gone and slept in a shearing shed as opposed to where they&apos;re supposed to be sleeping." 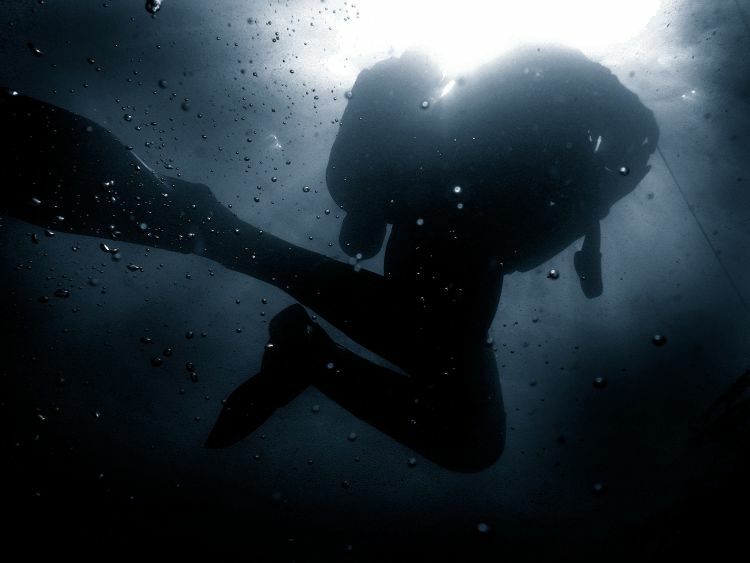 But as the days passed, no trace of Alan was found and the search intensified with men on horses and divers. "The initial police response in 1980 was the sort of response you could expect from one or two police officers in the town." 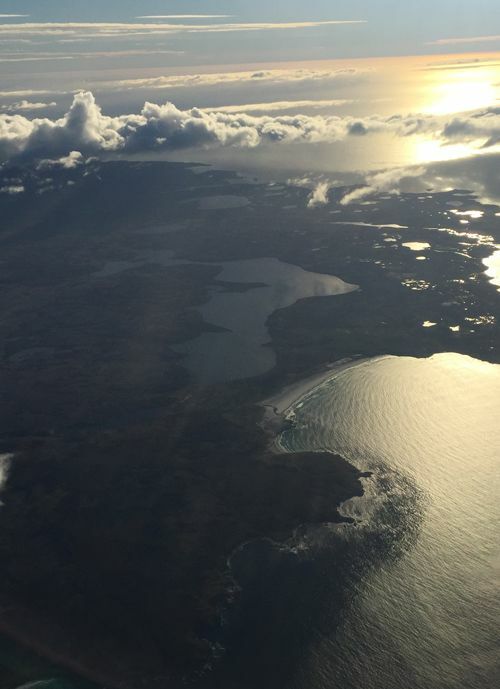 "North Arm was quite hard to get to. And [it was thought that] nothing had happened, somebody had missed the ship and that was it. "But when he hadn&apos;t turned up, they decided that something had to be looked into. We must find this guy, where is he?" An RFIP report from 1995 states: "It must be acknowledged that the police enquiry was inept, although the reasons for this are known and understood." 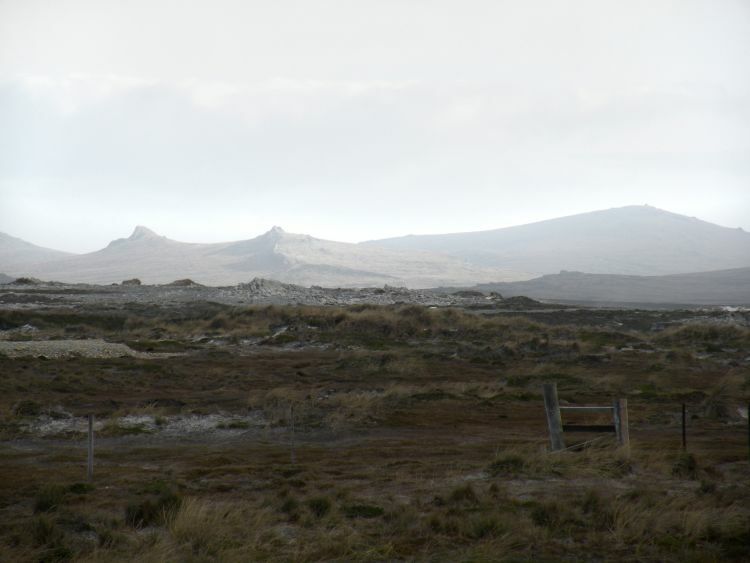 "The Falklands were very different then in relation to available resources and transport infrastructure. 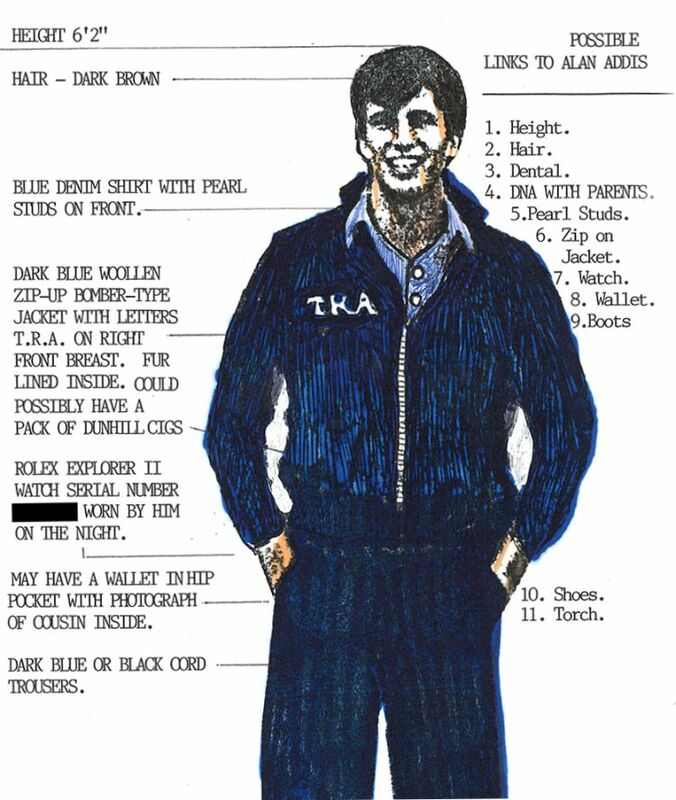 "With the benefit of hindsight and 38 years of improvements in investigative doctrine and techniques... yes, a lot more could have been done to treat this as a potential no-body murder investigation." To highlight the difficulties faced by the RFIP, in 1980 its workforce consisted of one chief of police, one inspector, one sergeant, four constables and a clerk. Was the disappearance to take place today, there would be a further two sergeants, 12 constables, one clerk, one licensing officer, one control room operator and four reserve constables available. "The Falklands Islands is not a crime place. People don’t really commit heavy crimes here, like someone disappearing." Fairfield says: "The thought [at the time] was that he&apos;d gone down to Forrest and the jetty and because he was drunk as a flipping skunk, basically, as they would all have been I guess, he toppled overboard. "Or, that as Forrest sailed out, he got up early from his bunk and toppled overboard there. That was the only logical conclusion at the time... It was a complete mystery." "In my mind I visualised him sitting with a group of friends, laughing joking and totally unaware that people were looking for them." By 9 August, however, she had been told by police that her son had fallen overboard from the Forrest and drowned. "How could they assume the fate of my son in such a short time and with no proof or evidence?" 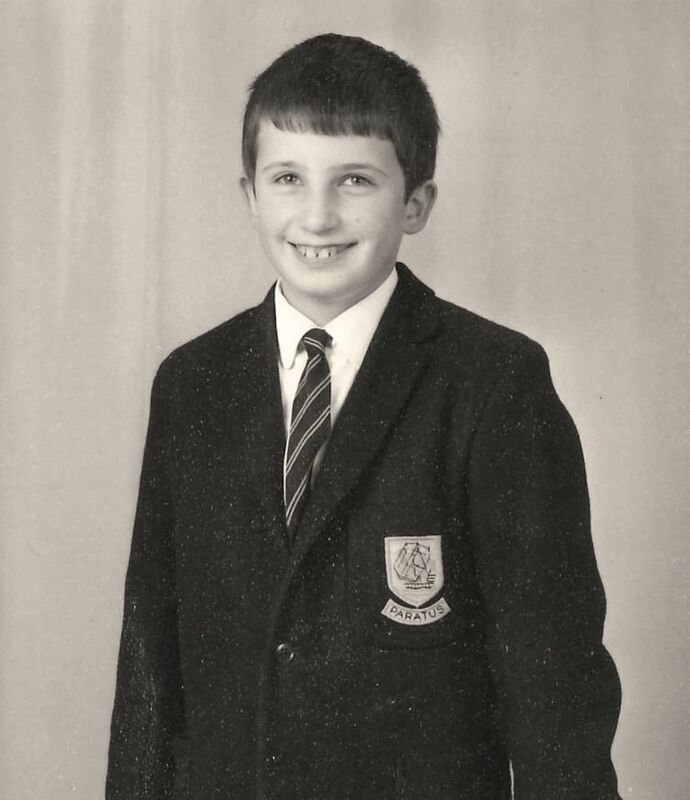 Several searches for him have been carried out since 1980 and rumours of what happened have spread far and wide. 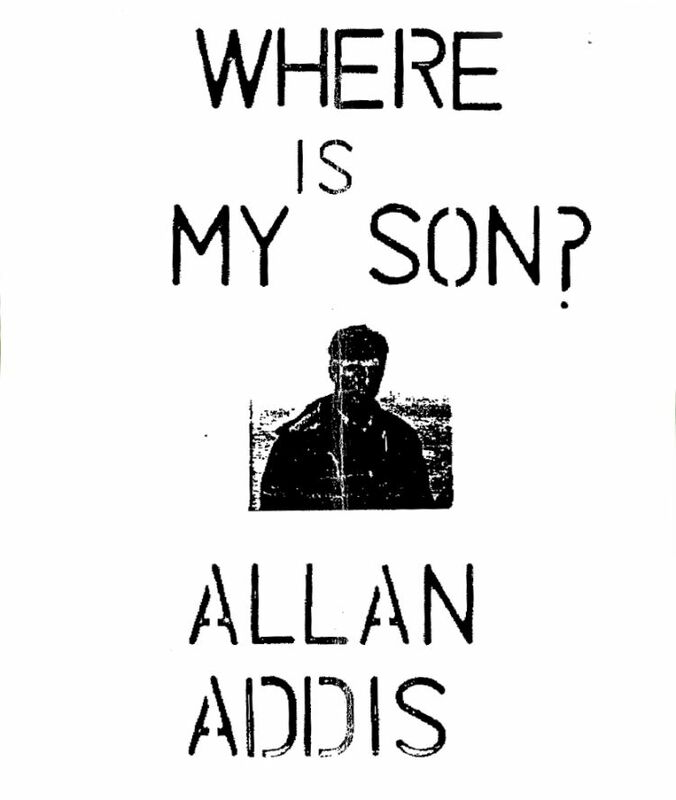 But after 38 years, no one has yet been charged with a criminal offence and Mne Addis&apos; body has never been found. As time went on and Alan was still not found, more information began to come to light. It emerged that a man was seen leaving North Arm early in the morning on the day Mne Addis disappeared, to give the alarm at Goose Green, another settlement on East Falkland. This would contradict the idea that the first time North Arm had heard of Alan’s disappearance was when the Forrest made contact at 3pm. 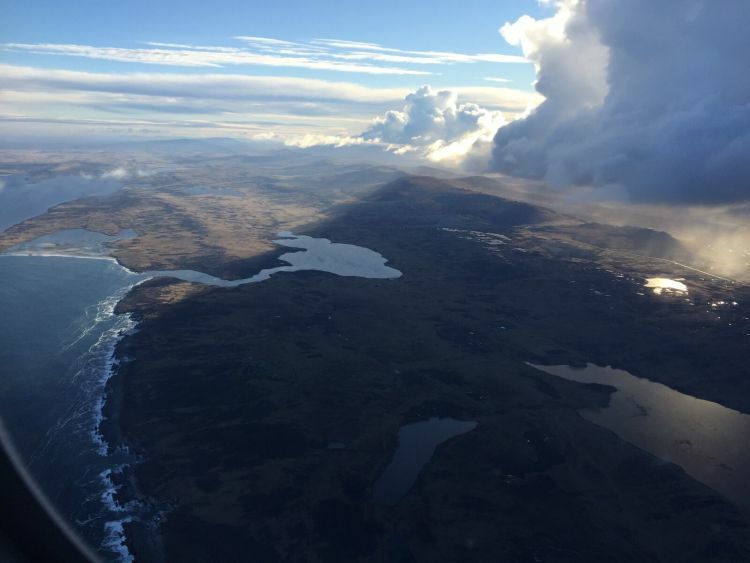 "It was the middle of winter in the Falklands. And when we were there in the summer, nobody drove across the island by themselves. 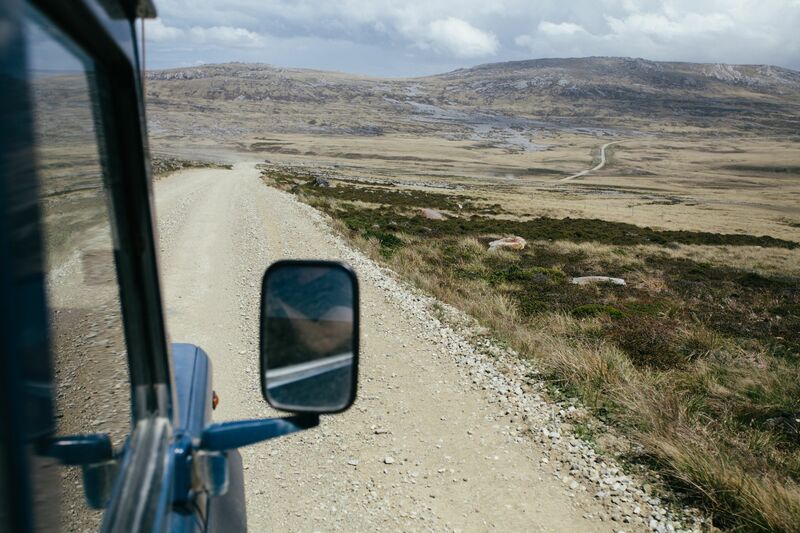 "It was always two vehicles because one was bound to get bogged down and you needed another vehicle to pull you out. "For a person to go from North Arm to Goose Green single-handed was quite a foolish thing to do really. So, again, you&apos;ve got to say &apos;Why&apos;?" Several days later, a Board of Inquiry was set up to decide how Alan had died. The day before its start, a local shepherd, James &apos;Jimmy&apos; Biggs, arrived from his settlement to give evidence to the board. That night, however, a fire broke in the bunkhouse where he was staying. Biggs died before being heard. Police documents seen by Forces News raise a number of questions about the incident. There was disagreement among the local residents who found Biggs over the position of his body and questions over the level of examination of the body before it was buried - without post-mortem. The building had also been believed locally to be &apos;fireproof&apos;, while there were reports that Biggs had an argument with a North Arm resident on the evening of his death. "That fire has always really bugged me. I mean it was so soon afterwards. North Arm was such a sleepy little place, nothing happens. All of a sudden somebody goes missing and [is] not found, next thing there&apos;s a fire and someone dies in it!" Ultimately, the Board of Inquiry concluded that Alan died by either falling into the water and drowning, or wandering into the hinterland. Mick Swindells told us: "A lot of people say that it was a whitewash, that the Board of Inquiry had already predetermined the cause of death. "It happened very, very quickly, I think. I think it only took a few hours, or something like that. "But then you&apos;ve got other people&apos;s evidence that says that certain people left the camp to go looking for him before he was declared missing. "You can see where [it comes from]... [the] theory that he was a victim of foul play." Paul Clarke said: "They were just looking for an explanation and they couldn&apos;t find one. Let’s face it, he disappeared off the face of the Earth." Soon, however, there was to be another momentous development that would hinder the investigation into the case: the Falklands War. After the conflict started in 1982, all the documents related to the case were lost. Some say police records were burnt or stolen by the Argentine invaders, others that they were destroyed by the police officers themselves to protect information. Others even say a missile on the police station destroyed them. As time went on, the investigation stalled. 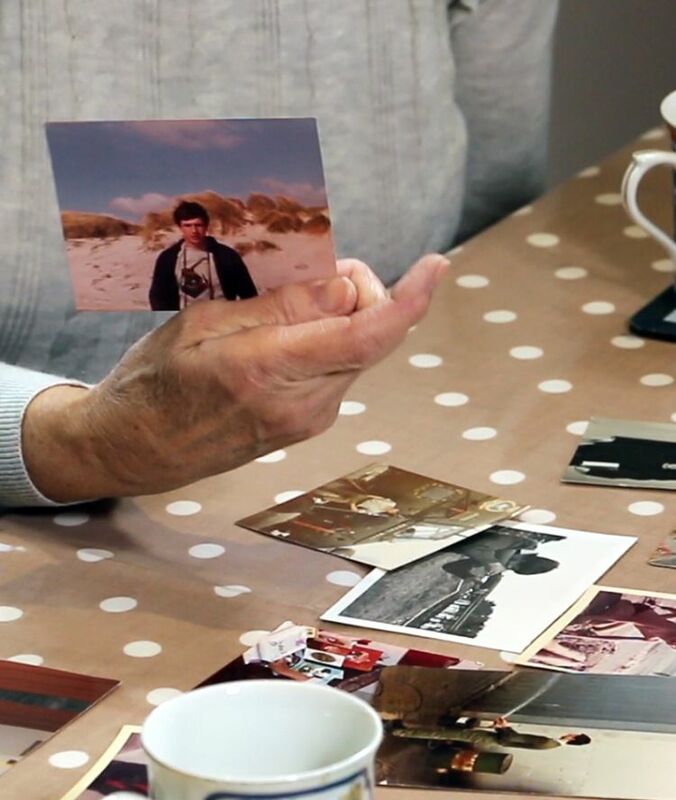 Alan&apos;s family says communication was very poor with Ann, who – miles away – struggled to comprehend what happened to her son. "Our family was going on day-to-day, but Ann&apos;s world just stopped. It all got far too much for her." Ann tried to take her own life more than once, although she was always able to receive help in time. She went on to become the driving force behind the investigation into his disappearance. After the war ended, she made sure the police didn&apos;t forget about her son, and soon, officers started looking at the case from scratch. Police documents from the time state: "Early enquiries into his [Mne Addis&apos;] disappearance were inept and far from comprehensive. "No explanation for his disappearance has ever been satisfactorily put forward. Rumours of his unlawful killing began to circulate shortly after the event, and continue to do so today with remarkably little variation. "Recent police enquiries have failed to explain Addis’ disappearance any more than the earlier efforts, and have produced very little by way of evidence. Nevertheless, they have produced a great deal of new information, and there are good grounds to suspect Addis was murdered." 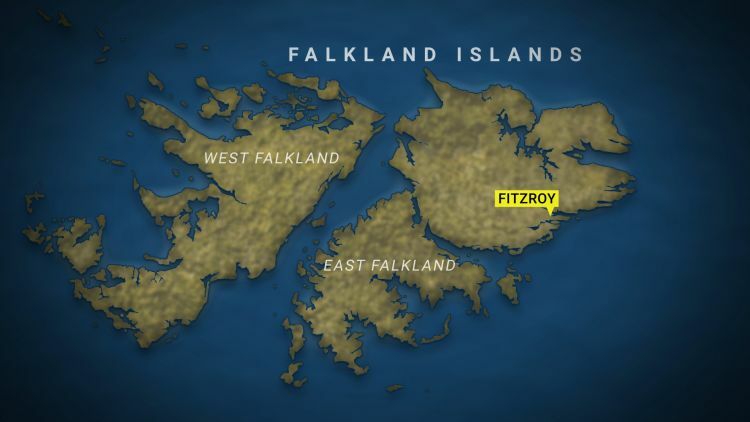 In 1993, the Royal Falkland Islands Police re-opened the investigation. According to Jock Elliot, as the force moved to computer records it was realised there were some lines of inquiry that needed following up. 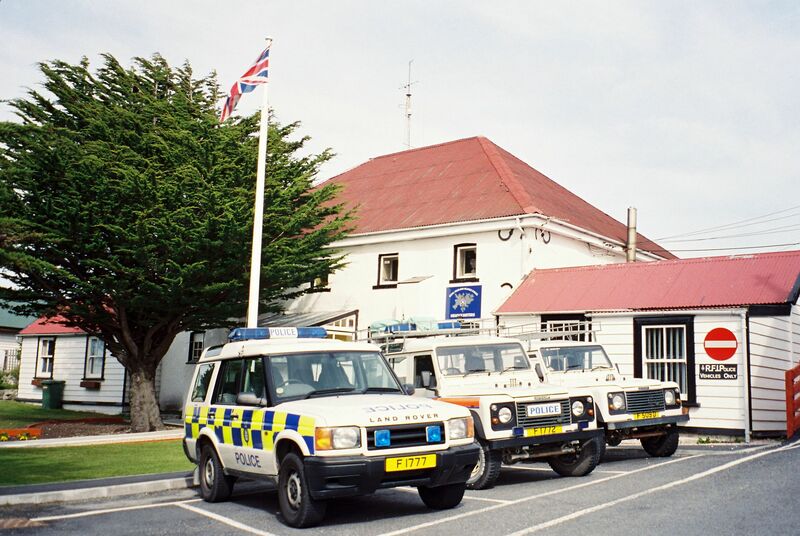 However, the small Falklands&apos; police force needed assistance from the UK. That&apos;s when the Devon and Cornwall Police came in, and in 1995 they arrested four men in connection with the case. Ultimately, however, it was to prove another dead end. The four were questioned before being released without charge and police say there was no more evidence to incriminate them than anyone else. "When the arrests were made, the four people were questioned by the Devon and Cornwall Police and essentially, they came to us and said, &apos;these men know nothing. They can&apos;t be involved... There&apos;s no suspicion around them at this time&apos;. "I can&apos;t say that I have found personally that any one person was involved in the disappearance of Alan Addis." 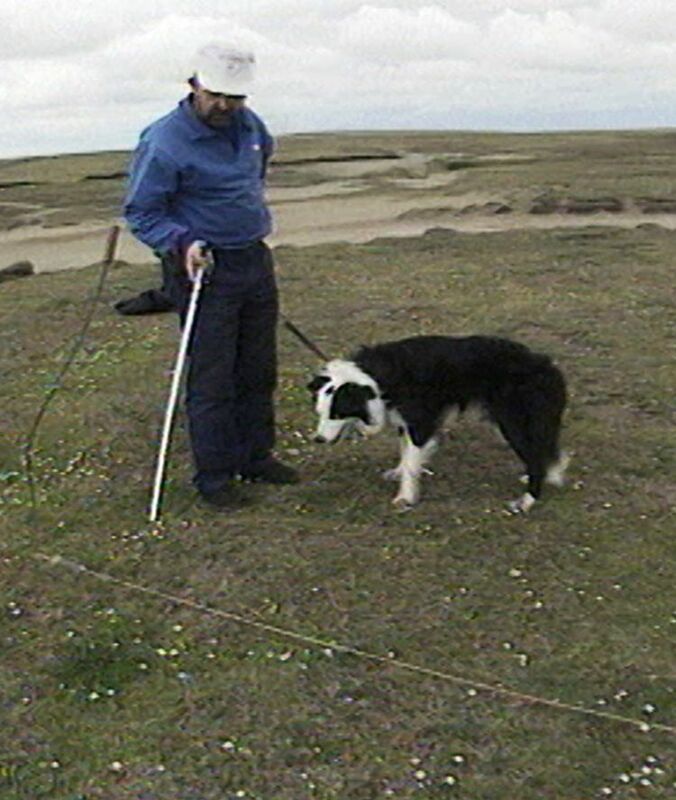 It was then in 1997 that Professor John Hunter&apos;s Home Office team came to the islands to help investigate the case, together with Mick Swindells and his cadaver detection dog, Lee. Their efforts would end up being televised back in Britain, after being filmed by television production company Lion Films for a Channel 4 documentary. "They were a very professional outfit. "They worked hand in glove with the FBI in the United States and the FBI had actually uncovered many bodies that had... disappeared over the years and brought them to a conclusion, so we thought maybe this was an answer." 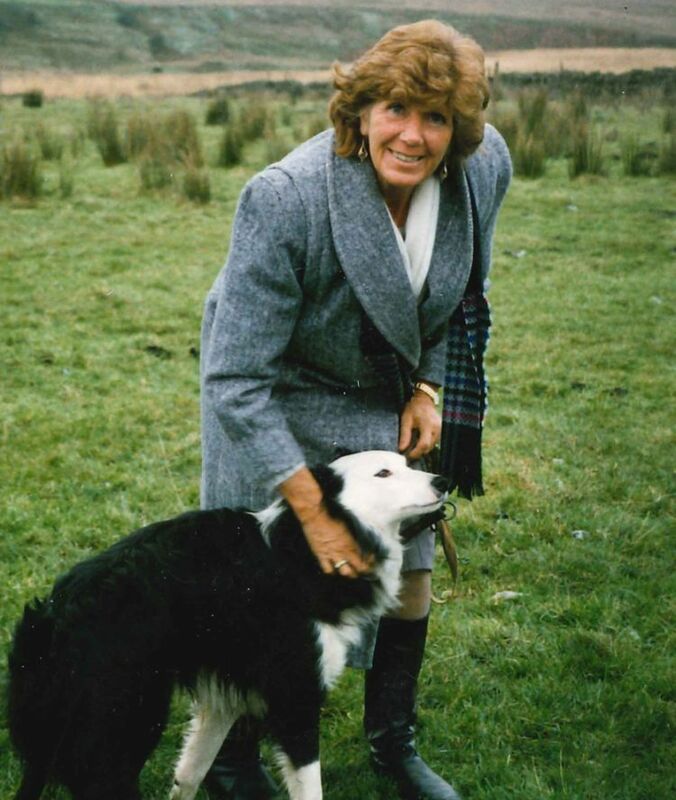 Despite all the previous setbacks in the investigation throughout the years, Jock and Ann struck up a genuine friendship and she stayed with his family when she visited the island. They maintained a sincere optimism that Alan would be found. Professor Hunter, spurred on by the challenge and the opportunity to bring closure to a grieving mother, set out identifying places where Addis had been to try to find his body. But he and his team were soon put to the test by the different theories and rumours. Mick Swindells says: "It really was one of those &apos;whodunnits&apos;. "Everybody had their own opinion as to what had happened to Alan. Even the actual facts of what occurred on the night varied. "It was very important to try and determine what actually happened while he was alive. Where was he at what time and what was he doing? - so we could move on from there." "They wanted for this case to be solved, but of course, the problem was that they relied on us to try and put forward scenarios or tactics that they hadn&apos;t used before. "There was a lot of pressure on us out there to deliver. We were in some respects the knights in shining armour that had come from the UK to solve the problem and I think that put pressure on us as a team." "I felt uncomfortable at the time. 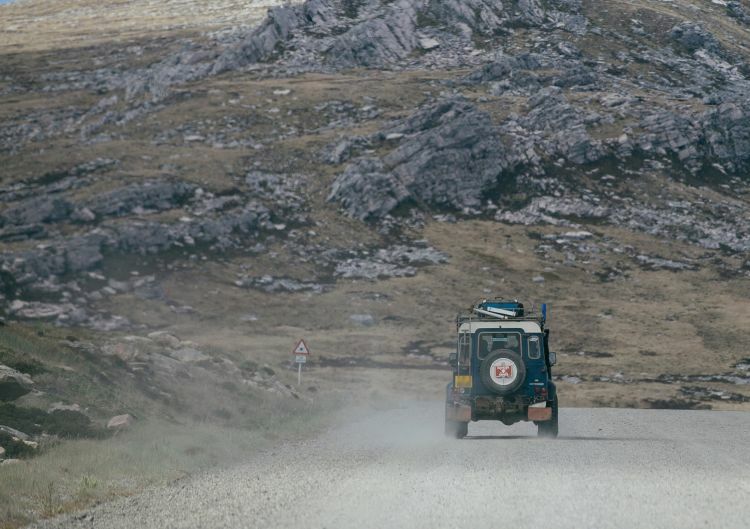 If you think about it, if you have a small community of 50 or 60 folk and all of sudden, over the hill comes a series of Land Rovers containing half a dozen policemen and some experts, so-called, from the UK... You&apos;re not made to feel particularly comfortable. "I don&apos;t think they were over-supportive. I don&apos;t think they were under-supportive. They just said what they needed to say, until we went away again." "I don&apos;t believe that people behave differently here than in the UK, where often detectives... meet a wall of silence when investigating murders." 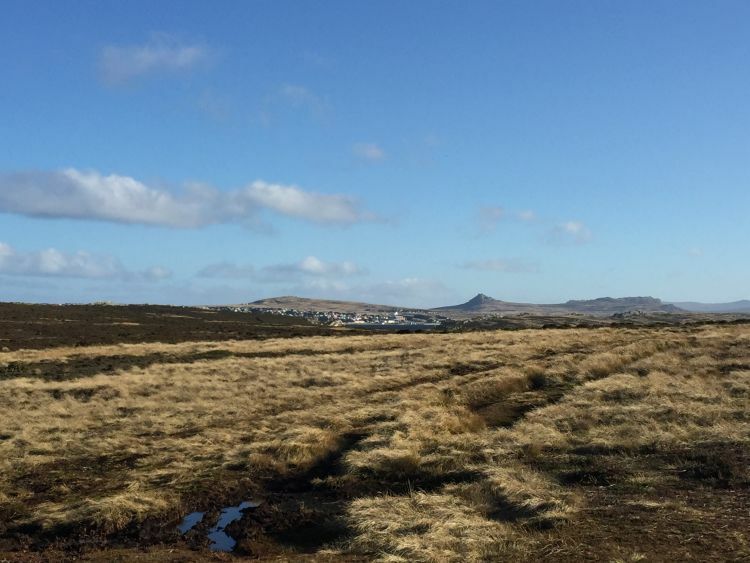 Ultimately, despite searching over 54 locations, the team was to find no trace of Mne Addis. "It&apos;s possible that I missed the body by a metre." "There were definitely three camps: the people who were involved in whatever happened, the people who knew what happened but were afraid to say and the people who didn’t know and wanted this to be solved." "I don&apos;t think he fell into the sea. I don&apos;t think he wandered off drunk, otherwise there would have been evidence of that. "I think foul play was involved somewhere down the line. Everyone was very, very drunk that night. "I think he was a bit of a ladies&apos; man and it may be that he got into a fight over a woman and the fight went maybe a bit too far, [they] tried to teach him a lesson before he went off the next day and they found they had a body on their hands." "Not knowing what to do, the community closed ranks, stashed him overnight and moved him out in the morning into the wilderness that&apos;s out there - and his body was never found. "In the UK the chances are people aren&apos;t buried or disposed of randomly. In the Falklands I suspect that may have been the case. "Instead of taking him to place which was very specific and which you could access again through landmarks or landscape features... [I suspect] it was a place where there weren&apos;t any." The theory that Mne Addis might have been killed because of a flirtation or relationship with a local woman - one story even goes that he was caught in the act with a North Arm resident&apos;s wife - is not a new one. Police documents from the 1995 investigation, seen by Forces News, looked to investigate exactly that rumour. They note that: "At the time of the incident, the settlement communities in the Falkland Islands lived an almost feudal existence, with the settlement manager having absolute power over their lives." The papers add that a local landowner, who was the subject of one of these rumours, is reputed to have maintained order at North Arm by the use of two "strongarm" men who were seen at the time as suspects in their own right. It was this person that organised searches for Mne Addis once he was reported missing by the Royal Marines. The papers add that after being interviewed by police, this man&apos;s wife "appears to have been suffering great stress", that "there is understood to be considerable new friction between her and her husband" and that she was the only person to refuse to speak to the mother of Mne Addis during one visit. "I think they had to [collude to keep the name of the person responsible safe]. This guy, he ran the place, in every way." Back in 1997, "The Bodyhunters" documentary asked the alleged husband in question about the story, which he admitted being aware of, although he dismissed the suggestion. Ultimately, however, there has never been enough evidence about this rumour to bring a charge on any individual. "It would have become common knowledge in a short time." "The camp people would have been able to see things like buzzards flying around, if someone had gone down in the camp, but there were no indications anywhere of anything like that." He added: "Consider the fact that the Devon and Cornwall team actually covered an awful lot of ground on the rumour side, and they followed the rumours to source where they could, and they bottomed them out. "In fact, most of the rumours, which we felt were quite good evidence if it was true [sic] would have been brilliant - but turned out not to be true." 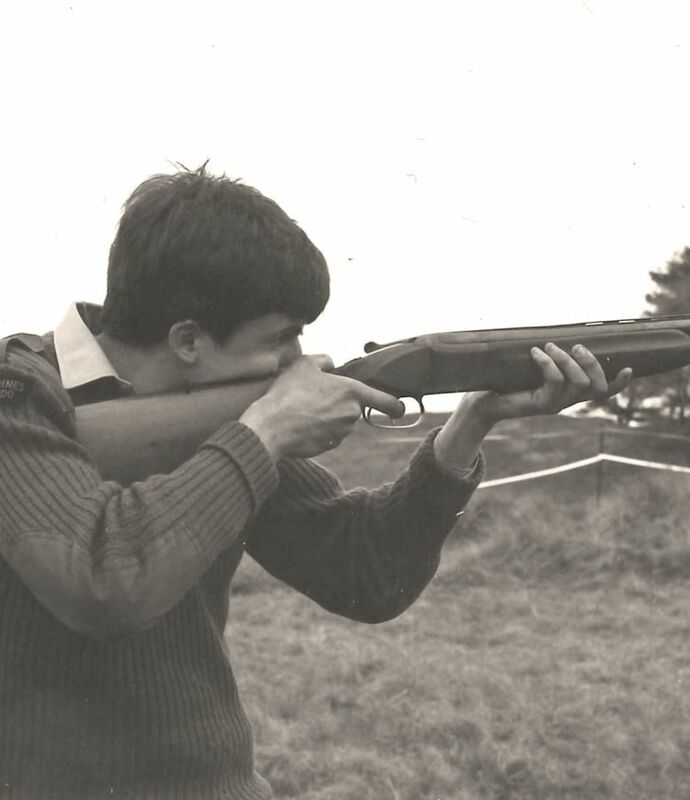 One other suggestion has been that Alan Addis could even have been killed by a fellow Royal Marine. Police documents compiled after the Mne Addis investigation was reopened suggest there was animosity between him and the colleague who he had argued with a local resident over on the night of his disappearance. They also state that this marine had "a record of violent behaviour", had "been described as psychopathic by other marines" and was a "&apos;hard&apos;, uneducated man" who would not have got on with Mne Addis, who was "quiet, well-educated and considered to be aloof". The papers add that this marine would have been "deeply offended by any criticism of his professional ability" and that he "appears to have been popular at North Arm", and so may not have had difficulty in recruiting help to dispose of Mne Addis&apos; body. 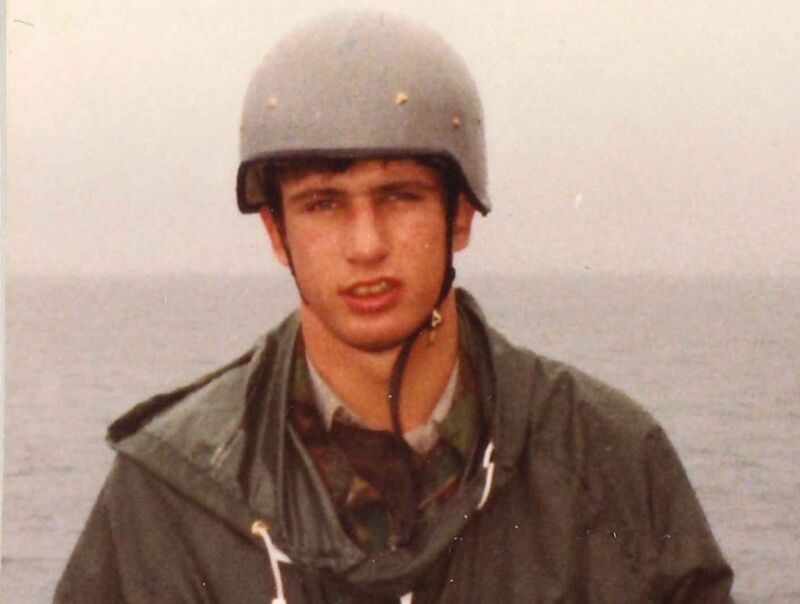 It adds, however, that: "When interviewed in 1993... [the marine] appeared to be the most helpful witness, offering ideas of his own as well as providing full answers to questions." Again, no-one has ever been charged following this line of investigation. Along with these theories - and those not involving foul play like Mne Addis having drowned or got lost in the wilderness - were some more imaginative ones. 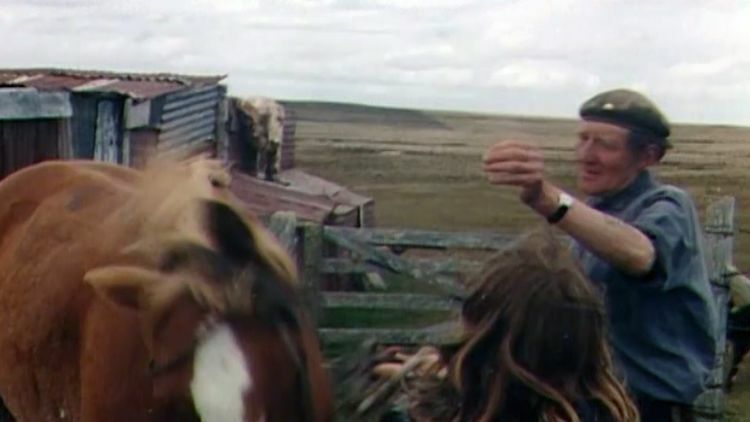 It&apos;s even been suggested that, with the Falklands War only two years away, he could have been abducted by Argentine forces. As Ann&apos;s search became increasingly more desperate, meanwhile, she started pursuing more unorthodox methods of locating her son. Mne Addis&apos; mother become interested by the idea of using clairvoyants and dowsers to help the investigation, believing that when her son was alive they had some form of telepathic ability. After two mediums failed to provided information of any assistance to the police, she sought the advice of famed &apos;psychic detective&apos; Nella Jones. The Romany gypsy was known for her attempts to assist the police in the hunt for the &apos;Yorkshire Ripper&apos;, Peter Sutcliffe, and her involvement in other cases. "According to Mrs Jones, Addis was killed with a knife in the settlement and transported to a hiding place by boat. 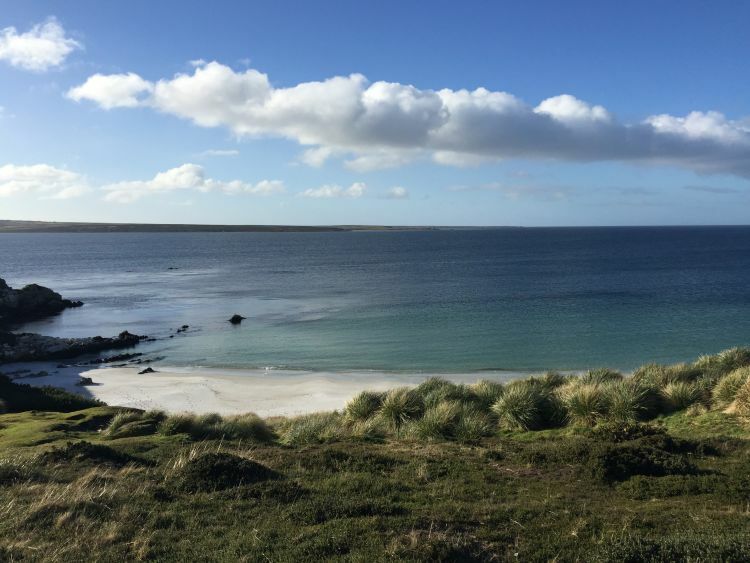 "She says that the boat headed straight out from the jetty, and then turned right, and was concealed in a cave which had a fissure or a blow hole in its roof and had an entrance shaped like an inverted Y which could only be seen at low tide. "She described a strong smell of rotten fish, white cliffs, a distant light, a booming sound, and the sound of many seabirds." "With this information, police were able to locate a spot which fitted the description in every detail, and any remaining scepticism about the ability of the medium began to disappear. "The cave has been thoroughly searched by divers and climbers and no trace of human remains or any man-made object was found." Ultimately, though, questions will continue to be asked until Mne Addis&apos; body is discovered. What happened to it remains a mystery to this day, with possible explanations ranging from it having been lost at sea, to dumped in a pond, to eaten by pigs. Speaking about this theory, Mick Swindells says: "It was very, very difficult. "Yes, the pigs&apos; sty was there, we know that it could have happened. There was no evidence to say that it did happen - but it could have happened." "There was the story that he just got drunk and fell into the sea, trying to board the boat. There was no evidence to say that&apos;s what happened but it could have happened. "There was the other story that he wandered over trying to pick his ship up again, because he was late, and he wandered into the wilderness in the middle of winter and died of exposure. "All three scenarios are very, very plausible but there was no evidence to say that any one of them was what actually happened." "Everybody knows everybody else. In fact, they probably know what you are going to do before you do it. 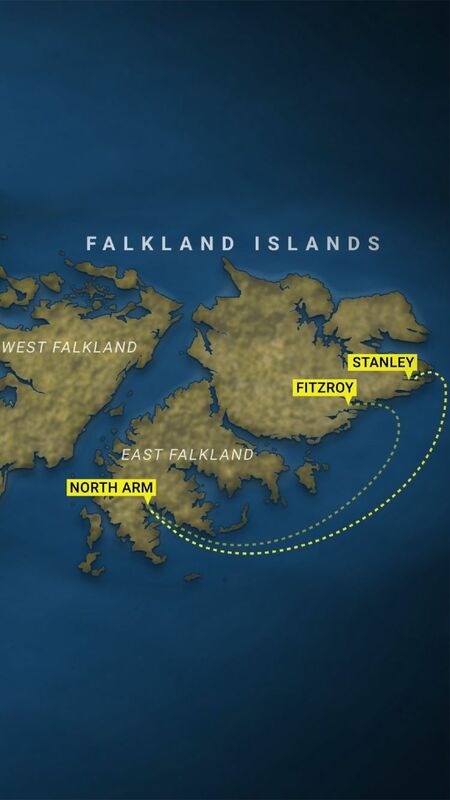 "[These are] very close relationships, friendships and it happens all the time in the Falklands... Rumours are rife." "[But] although all of these rumours, suggestions, were all given investigation time... there is, to my knowledge, not one shred of evidence that can be put in one pile of the other. It still remains an enigma." In 2010, thanks to someone coming forward with new information, a new lead was investigated. Documents seen by Forces News show that a story emerged of Mne Addis having been intentionally run over by one of the residents of North Arm. The story went that he had caused anger by making advances on a local woman and that his body was buried in concrete at a tin house. 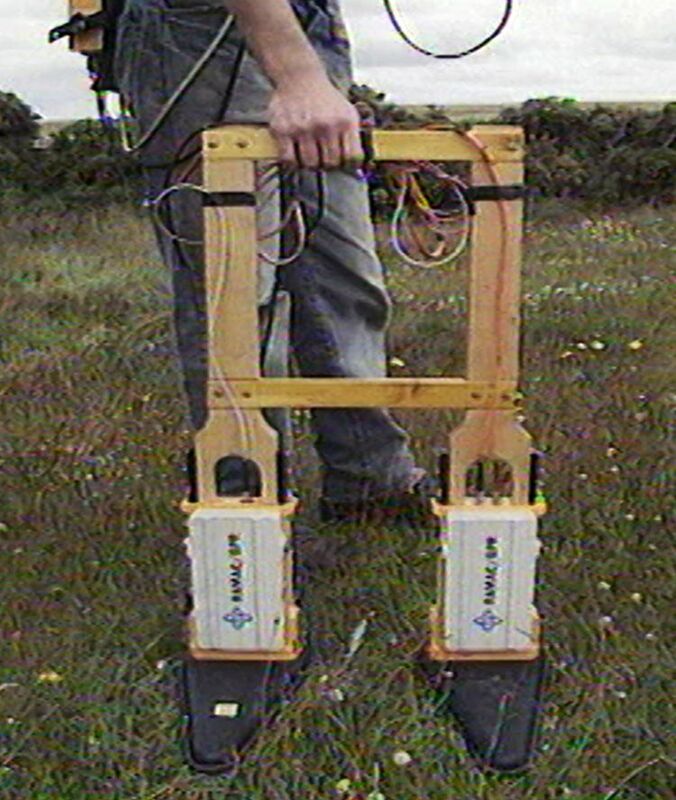 The Metropolitan Police travelled to the Falkland Islands with ground-penetrating radar to investigate, but again to no avail. 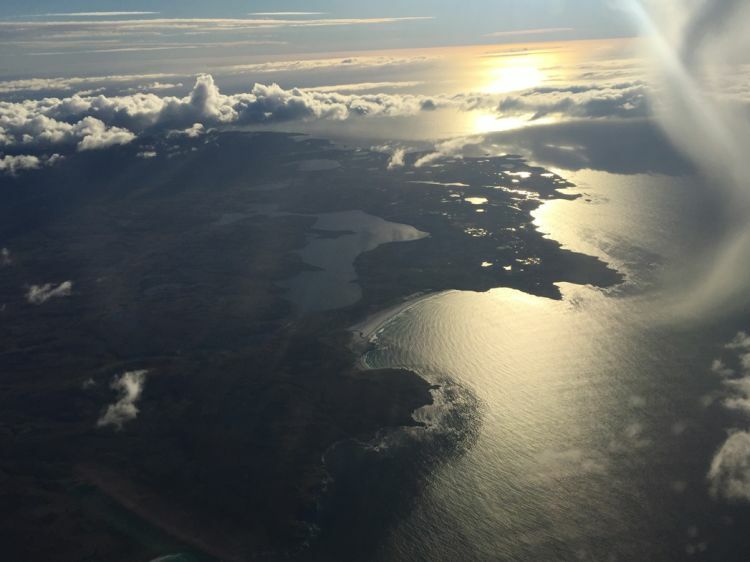 According to RFIP Superintendent Jeff McMahon, there is no evidence that Alan is still on the islands. However, a number of questions surrounding the investigation still remain unanswered. One mystery centres on Addis&apos; torch. When one of his fellow marines collected his torch from behind the social club&apos;s bar before leaving, where they had been placed for safekeeping, Mne Addis&apos; torch was still in its place beside his comrades&apos;. A later search of a house formerly occupied by one of the local residents revealed a military pattern right-angled torch concealed in the garden. Mne Addis, however, was believed to have had a civilian-pattern Ever Ready torch. 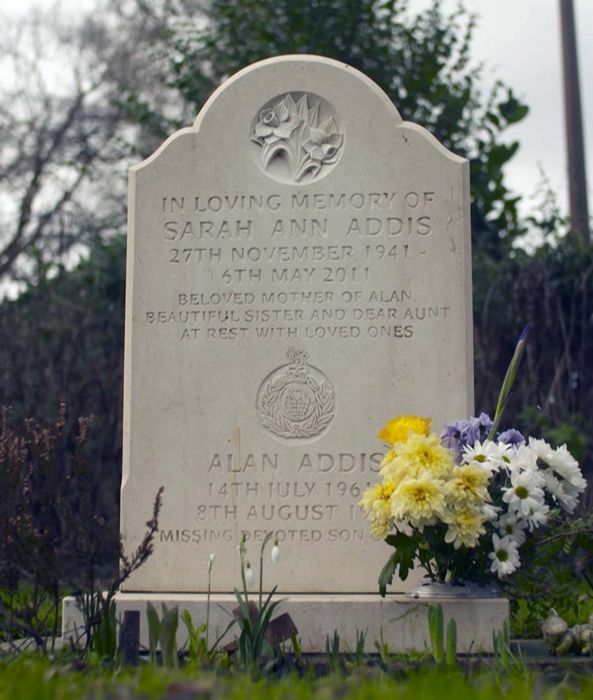 "On the day that the torch was found, Mrs Addis was talking with Mrs Jones, who told her that police had found her son&apos;s torch, although at the time only the officers engaged in the search were aware of the discovery." One item never retrieved was her son&apos;s Rolex Explorer II Watch, which bore a unique serial number and was worn by him on the night of his disappearance. 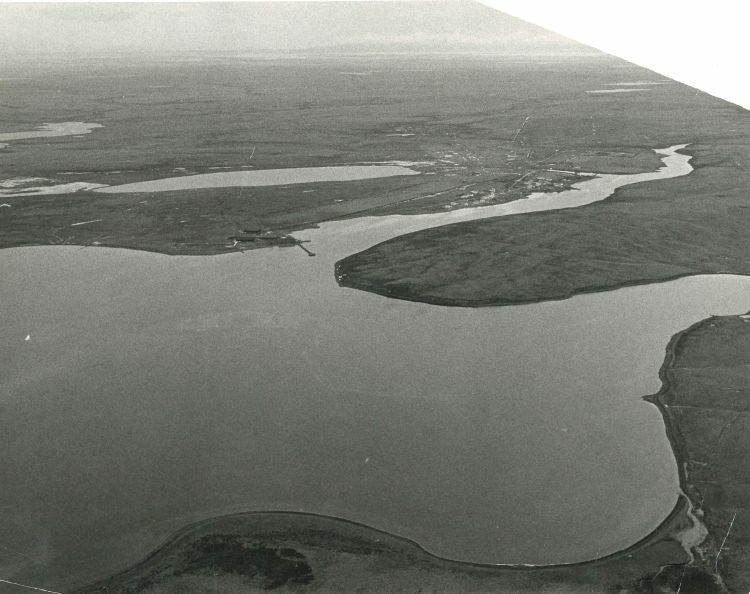 Another troubling discovery came during a visit by Ann to North Arm, when she "found a knife concealed in the outhouses of the same premises which had either been missed by the search team or been placed in the outhouses by someone after the search." The lack of new evidence in 2010 wasn&apos;t enough to stop Ann. She died the following year, never knowing what happened to her son. Shortly before that, however, she told us: "You learn to live with it, you have to. "I still, to this day [believe] they will find him. "I&apos;ll never draw an end. Alan will come home and Alan will be put to rest." And she never stopped looking for him. Ann&apos;s sister June Andrew says: "He never went out of her mind... She never stopped, really, thinking of him." Ann established a memorial fund for missing children in honour of her son, but announced shortly before her death that she was to wind it up and donate the money raised to the Help for Heroes fund for British service personnel. Paul Clarke says: "Can you imagine... Your child&apos;s there one day and not the next and you don&apos;t know why? She dealt with it fantastically. "Ann was tough. If someone said no, she wasn&apos;t accepting it. She had to have a good reason to back down, for anything really." "We couldn&apos;t give her her boy back... And that&apos;s bad. Once a Royal Marine, always a Royal Marine. "They don&apos;t go away. They don&apos;t melt or disintegrate completely. "The body will still be there. It&apos;s just a matter of finding it." For Alan&apos;s family, though, it&apos;s just a case of wanting to bring him home. "I just wish we could find him, just bring him home and put him to rest with his mum." If you have any information, however insignificant it may seem, that could be of use to the investigation, message us at digital@bfbs.com and we will contact the relevant authorities. With thanks to Yuriy Rzhemovskiy for photography.